When you want a decorative sword with a rugged look for your collection, the Rough Finish Short Sword makes an excellent option. 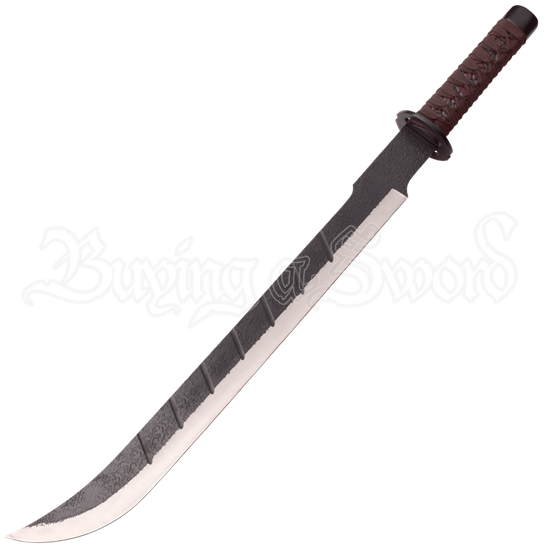 This fantasy sword draws upon various styles to create an ornamental blade with a striking appearance. The rough finish of this stainless steel sword remains one of its most distinctive elements, showing off blackened coloration marked with coarse texture marks. The edge of the blade is silver, making the rough finish stand out even more. The steel handle is wrapped with brown fabric in a style reminiscent of a katana, finishing off the piece. This collectible short sword comes with a nylon sheath to help you carry and store it safely.